You and Prisca come from very different professional backgrounds. Prisca has experiences in the fashion industry with her own labels Cashmere Crush and Prisca O, and also worked in HR recruitment. While you’ve worked in satellite communications. How did you two meet and decided to launch Punda Milia (pundamiliadesign.com)? How is Africa the common bond? For as long as I can remember, I have had a love for all things design, whether architecture, interiors, landscapes or beautiful arts and crafts. I continued to share this passion through my home life, but my career life was very different. I have been involved in the IT Industry for over 20 plus years, having worked for companies like CSC and Computer Associates. When we invested in our own satellite company that was when my African adventures came to life. We relocated to Tanzanian in 2009 and we spent the next seven years building and eventually selling our company after which we relocated to Vietnam. 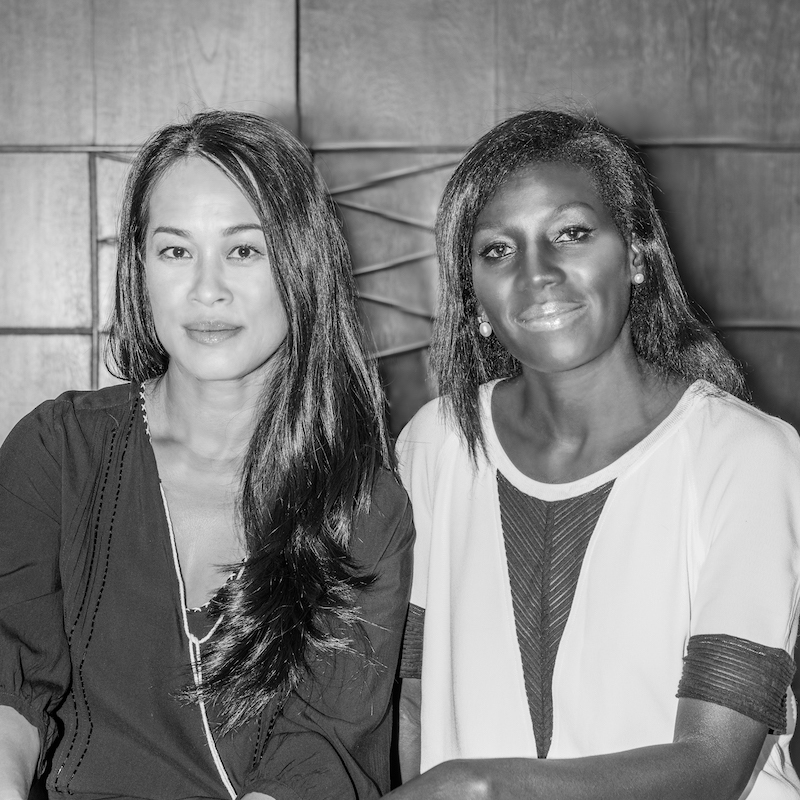 When I first arrived in Saigon I met Prisca through our school (BIS) at the parents meeting. When we were introduced and I heard her name I knew that she was originally from East Africa. She was born in Kenya, which is Tanzania’s neighbour, and I was extremely excited to meet somebody from that part of the world, considering we just left after all those years. We can also speak to each other in Kiswahili, which has been a lot of fun. The bond was instantaneous. What does Punda Milia mean? It means zebra in Kiswahili (and, coincidentally, “PM” are our initials). My mom and grandmother has the plastic version of this bag, they use it for almost everything – carrying grocery, as a hamper for dirty clothes, a beach tote – what inspired you to redesign this specific bag into a luxury piece? I had been traveling to Vietnam prior to 2015 on a regular basis as I was building some holiday houses with my father in the Mekong Delta. This was where I really saw this basket in action and how strong it was, the tradespeople were carrying all sorts of tools in them. It came together for me at this point as it reminded me so much of Africa where the locals make use out of all materials and turn them into everyday practical vessels or items to assist in their daily life. It was around the same time I met Prisca in Saigon, where we connected with our Eastern African bond. We discussed the totes in detail but realized that they were not stylish enough or could be considered a fashion accessory due to the designs and low quality craftsmanship, so we decided to recreate our own version and elevate this very simple kikapu (basket in Swahili) into an item you can carry from the beach to a shopping trip anywhere in the world. It is our original idea of combining high-grade imported leathers by skilled leather artisans that helps make our totes stand out. 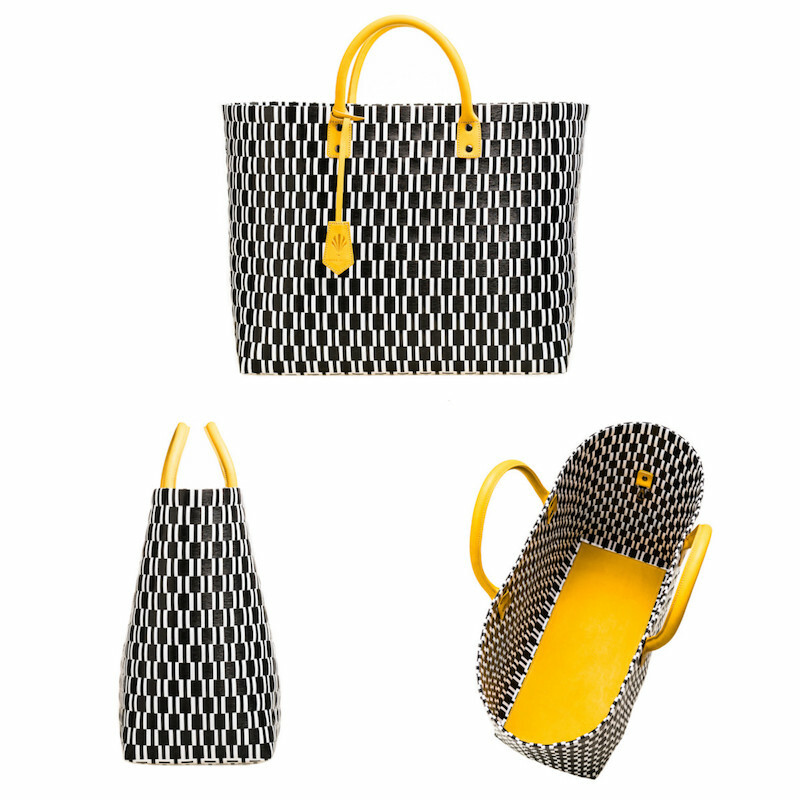 We strongly believe that this reinvention and redesign has resulted in a stylish essential tote, which carries the individual through many aspects of her or his life. It is highly versatile, practical and very strong. There’s an interesting quote on your website – “creating the zebra of the accessories market” – can you explain the meaning behind it? If anyone has ever had the privilege of visiting the Serengeti and seeing these magnificent creatures live they will understand. All the creatures of the Serengeti are beautiful, but there is something very special about the Punda Milia, particularly with its infamous marks and colorings. They stand out from the crowd; we wanted to do the same with these totes. 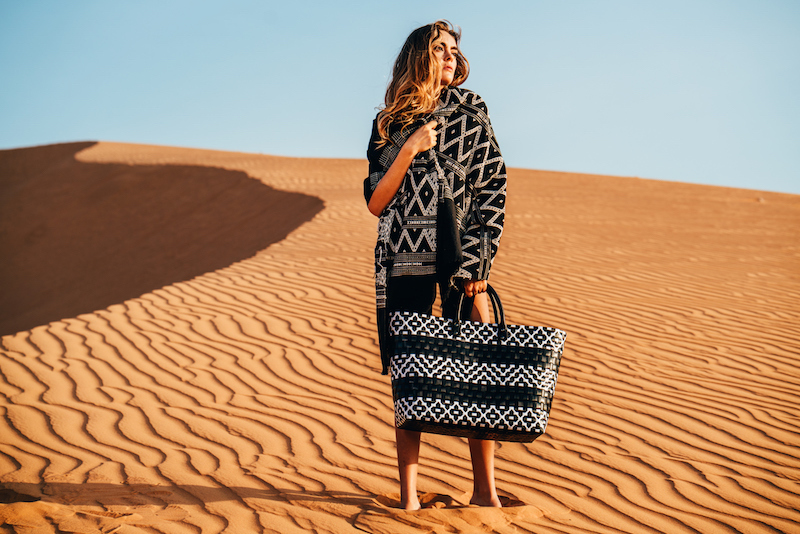 The basis of our designs in our main tote is always in black and white; we will then accentuate that with beautiful fashionable leather colors on the handles, bases and keyring attachments. Black and white is timeless—everyone is able to wear this striking combination. Our logo is the head of a Punda Milia (pundamiliadesign.com). Tell us about the eco aspects of the bag. The totes are woven by families from the Mekong Delta, using locally produced recycled materials. Our handles and bases are made from high-grade imported leathers and crafted by local artisans. We have spent many months perfecting the weave and other aspects of the leather handle designs to achieve the finest quality, providing both comfort and stunning aesthetics. We have not left any detail unturned, from the dust bag right down to our boxes have the same level of thought process. Once the finished tote has been delivered back to our design studio, each and every bag is checked and finished off by hand prior to shipping. Currently our distribution points are Australia, Milan and Singapore. The bags are sold only online and mostly overseas. Where is your largest buying market? We are currently targeting the European and Australasian markets. We have recently signed a distributor in Milan and a luxury online label in Australia. Australia is moving towards a single use plastic ban by 2018, our essential totes will be the perfect stylish eco tote to use when shopping. Can we expect a new collection inspired by Vietnam soon? Definitely in the near future we will design a collection based on our inspirations of Vietnam because this is the country that has allowed us to explore our creative side and turn it into reality. Vietnam is full of talented artisans and it has been an amazing journey to date working with them.